Shower doors are an important accessory when it comes to the shower area. A shower door will ensure water remains in the shower area and avoid spills, plus they offer privacy to an individual while taking a bath or shower. A beautiful Shower doors can also add a touch of style and elegance to a bathroom. Unfortunately, most people don’t give much thought to choosing the right type of shower door, a common mistake in many households. In this piece we’ll discuss the different types of shower doors and what advantages they offer for a shower area. Frameless shower doors are one of the most modern door types on the market. A frameless shower door uses strong tempered glass that does not need the support of wood or metal around its exterior edges. These doors present a clean, modern, stylish look that is free of any visual obstructions. Frameless shower doors in Toronto are easy to clean and care for. Their contemporary design helps create the illusion of space while adding a touch of style to a bathroom at the same time. These doors present a perfect option for small bathrooms and help bring out the intricate stoneware and minor details in a bathroom. When it comes to price, they are generally more expensive than framed doors. Bypass doors are simply sliding doors that consist of two sliding glass panels designed to either slide on the tracks or use the help of mechanical rollers to aid in movement. Bypass doors are a great option for bathrooms that require small spaces, since they don’t require any space for doors to swing in and out. Pivot shower doors are swinging doors that are attached to the shower enclosure with a pivot hinge and allow the door to swing in and out. Pivot shower doors come in a variety of styles and colours to suit any bathroom’s design. Hinged shower doors are typically glass panels that are attached to pivoting hinges and can swing in one direction to provide a passage to the bathroom. Hinged doors are quite common on stand-alone shower stalls and require ample free space to allow the door to close and open. 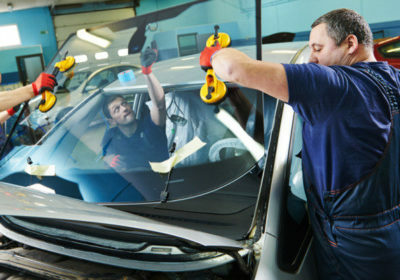 In case the glass cracks, glass repair is easy and fast. Neo-Angle shower doors are popular in small bathrooms. They are a viable option for areas with little space because the door is designed to cut across a 90-degree angle created by a corner shower. Bath Screen Doors, also known as tri-fold or bi-fold doors, are made up of several glass panels. Bath screen doors are also a perfect alternative for bathrooms with limited space. They are efficient for saving space because they only swing out in a small space in a bathroom. In operation, bath Screen doors work similarly to bi-folding doors on closets. Round shower doors are quite unique in that they open inwards. They serve as a great option for bathrooms with corner showers. Round shower doors use curved glass that is less prone to break when it hits an item since it opens inwards, so glass repair in Toronto is avoided. These doors are easy to clean and offer more floor space. As you can see, shower doors come in a variety of styles, shapes, and designs, and the type of shower door you choose should undoubtedly suit both your bathroom and personal needs.